How can you hide the title from a featured article? I already tried setting "Show Title" to "Hide" in Article Manager but it doesn't work. This article is "Uncategorized" and only used in "Featured Articles". 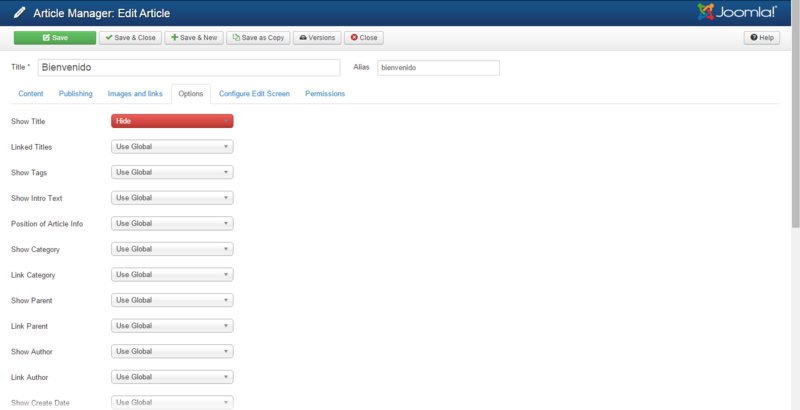 I'm using "protostar" Joomla's default template and Joomla 3.3.6. If you want to hide the Title for "Featured articles" you need to specify that you want Joomla to take the configuration set from those articles. 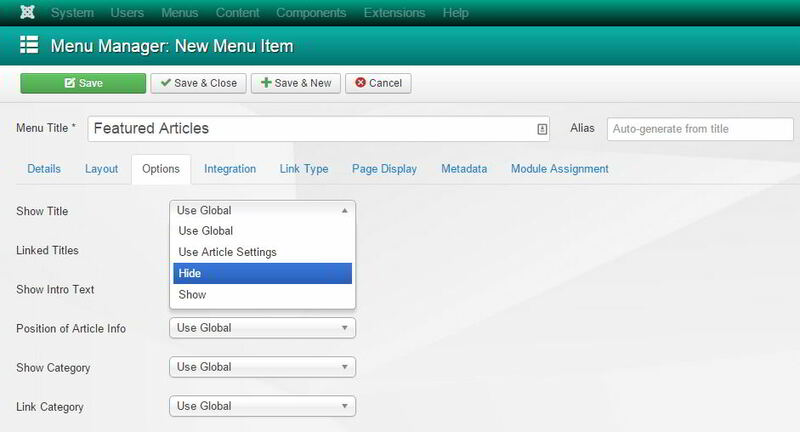 To do that go to Menu -> Main Menu -> Select the Menu which display "Featured Articles" -> Options and set Show Title to "Use Article Settings"
Now, go and find your Article in "Article Manager" -> Options and set "Show Title" to "Hide". There are several places to set the title property. The menu item, the category, the article manager and the article itself. As the other answers have noted, the view and menu item are the most critical to set. However, if you're linking out of say, a featured article blog view and you want the title hidden when you get to the article page, the menu item may not be acting on the article by the time you reach the full text page. So you want to look at the other areas of settings to see if they're conflicting. Ultimately, the individual article level should trump all the other views. So it would interest me to test that result and perhaps address it as a glitch in the parameter hierarchy in the Joomla core. You have to set Show Title to Hide in the menu item that displays your featured articles, not in the article settings. 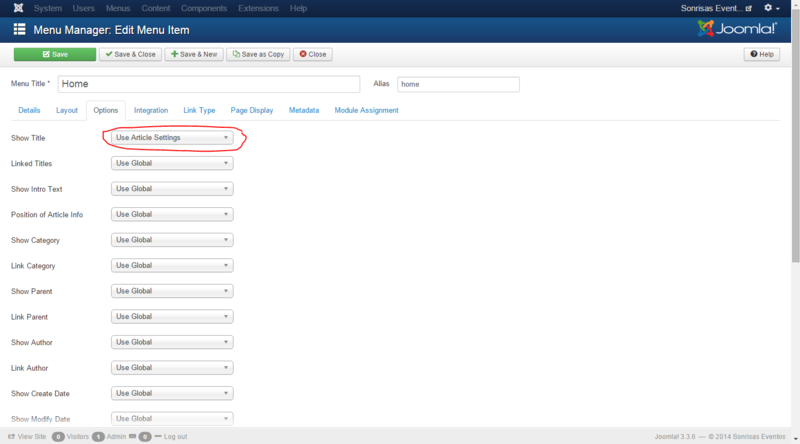 The article settings will only have effect is you set Show Title to Article settings in the menu item.